The outpost at Lount Lake sits on a rocky point overlooking a bay along the English River System. 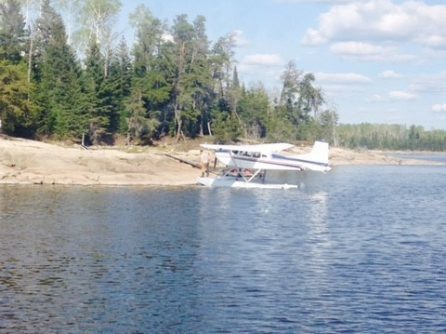 It’s a great place to be if you’re looking for trophy walleye, northern, or smallmouth bass – but the location can make repairs quite the challenge. 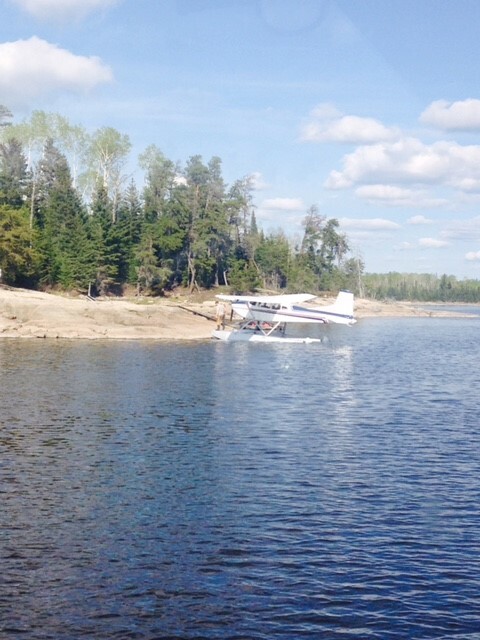 Back in 2013, the ramp at Lount Lake was torn out by ice. It was impossible to fix last season, with high water all year long. Instead, Dave’s brother, Ray, welded a 16′ ramp in Fort Frances. 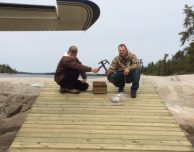 Then, at the end of last season, we drove to Grassy Narrows with the ramp, unloaded it from the truck and trailer, and boated about 20 miles to Lount Lake with the ramp. Dave and the boys finally put the ramp into place a couple weeks ago. Of course, the weather was cold and rainy! 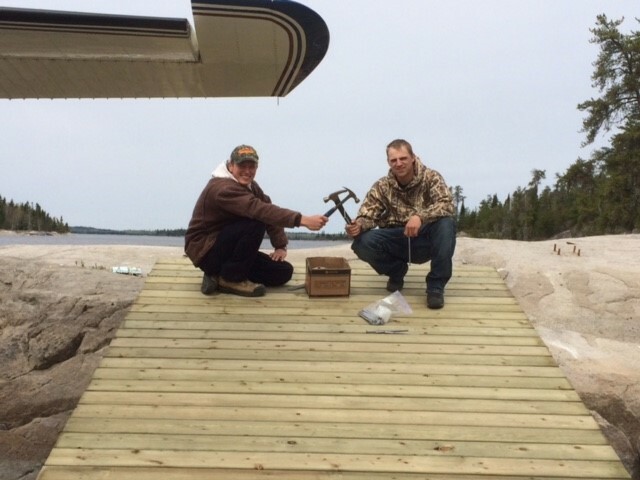 To put on the finishing touches, our pilots Will and James, along with Pat the dockhand, had to fly up there with tools and lumber. The hard work is never done at Nestor Falls – fortunately, our team always has excellent fishing to look forward to!